Credibility is the foundation stone upon which trust is built in the advisor/client relationship. In today's business world, using a professional website is the absolute best way to establish credibility and build trust with prospective clients. Providing great service is critical to keeping clients satisfied over the long term. A high-quality responsive website that contains a lot of valuable financial information is a clear demonstration that a financial advisor is fully committed to providing exceptional client service. The absolute last thing that any financial advisor should do with in their workday is spend their precious time building or maintaining a website. The most valuable use of an advisor’s time is holding face-to-face meetings with clients. Wise financial advisors delegate activities like website and e-newsletter management to a professional team who can handle all the details. Numerous studies have shown that it takes between 7 – 9 contacts before the average person makes a positive decision about a product or service. A fully-automated, monthly e-newsletter enables a regular stream of communication between a financial advisor and their clientele – without the advisor having to write articles or manage the technology themselves. Every AdvisorNet website and e-newsletter design has been reviewed and approved by over 20 of the largest MFDA/IIROC dealerships in Canada. Because of our 20+ years of experience in the financial service industry, compliance officers love AdvisorNet websites and e-newsletters. With an AdvisorNet website and e-newsletter there are never any “surprises” that cause compliance headaches with regulators. Tony and AdvisorNet have helped my brand grow for several years. If you want your company, name or brand to grow, then call Tony. I really enjoy working with them and they are easy to deal with !! I have been working with Tony and his team for over 10 years now and I have never had anything but excellent service. I am confident that my website and newsletters will continue to impress colleagues, clients and prospects alike and to generate significantly more in revenue than the expense. The AdvisorNet Team is always able to provide assistance whenever I or a member of my team has contacted them for support. They understand the compliance side of our business and help ensure that our site is onside at all times. I have recommended AdvisorNet to several advisors and will continue to do so. 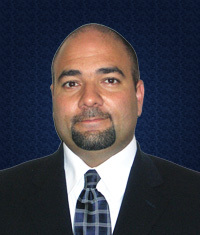 President, Definitive Wealth Management Inc.